NYSERDA announced that $250 million will go toward modernizing the state's aging renewable energy infrastructure. The New York State Energy Research and Development Agency (NYSERDA) has allocated $250 million in funding for a broad range of renewable energy generation projects. The funding, which comes through the state’s Renewable Portfolio Standard (RPS) will serve as a critical component of Governor Cuomo’s Energy Highway Blueprint which outlines recommendations for public-private partnerships to help modernize the aging energy infrastructure. These projects will target electric generation systems that use wind, solar, hydroelectric, biomass and other clean-energy resources. The goal is twofold: decrease the state’s carbon footprint, and expand the state’s renewable energy portfolio. “Through the RPS, the state is investing in its future. 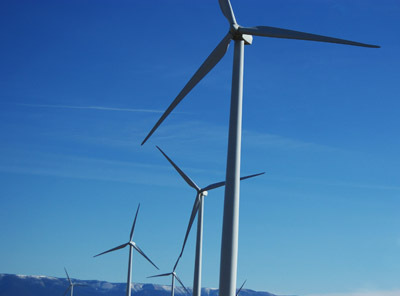 These projects will not only help diversify New York’s renewable energy portfolio, but also provide economic development opportunities across the state,” Gov. Cuomo said in a statement. “The RPS program has allowed New York State to expand its clean-energy economy by attracting private investment in these medium and large renewable energy projects, which are creating jobs and providing environmental benefits for local communities,” Francis J. Murray Jr., President and CEO of NYSERDA, said in a statement. The program is expected to bring “significant economic benefits” to the state; direct benefits will approach $2.4 billion over the next 20 years while effects on the broader economy are expected to yield $4.9 billion for the state. Recipients of the funding will be announced in 2013, and funding will be awarded competitively. NYSERDA currently has 54 large-scale contracts with renewable electricity generators within the Main Tier, including two biomass facilities, 10 landfill biogas operations, 17 windfarms and 25 hydroelectric facilities. These projects have the combined capacity to power 650,000 homes. Subject: LongIsland.com - Your Name sent you Article details of "$250 Million for Renewable Energy Projects in New York"